Let's talk about the laboratory test most relevant to people starting Atkins-the five-hour glucose-tolerance test (GTT). If, after reading the last few chapters, you suspect you may have a blood-sugar or insulin imbalance that is contributing to your weight problems, discuss it with your doctor and request a five-hour GTT with insulin levels. Since the onset of diabetes is insidious and damage to the body can occur even before full-blown diabetes is first discovered, it is vitally important to be aware of the possibility you have pre-diabetes and of the degree of risk you may already suffer (see Chapter 24). If you are hesitating, consider this: We are not talking about headaches, acid indigestion or ingrown toenails here. Need I remind you that the conditions the GTT with insulin levels can detect can be precursors to diabetes? Sixteen million people have diabetes. One in three doesn't know he or she has it. The GTT measures your blood sugar after twelve hours of fasting and then over the course of five to six hours after you drink a sugary liquid with no other food or beverage. Any variation from the normal range may be viewed with suspicion. If the highest reading is over 160 mg/cc, it may suggest pre-diabetes; if the lowest reading is thirty percent below your baseline, or below 60 mg/cc, you may have reactive hypoglycemia (more accurately called unstable blood sugar), an early stage of diabetes. If the difference between the highest and lowest readings is over 90 mg/cc, it may indicate a problem, as does a drop in sugar level of 60 points or more within an hour. Many other criteria exist to show deviations from normal-all of which take on more importance if other symptoms exist, such as dizziness, trembling, palpitations, brain fog, craving sweets, bingeing or other compulsive eating behaviors. If you have a family history of diabetes, it is essential that you be properly tested. Insulin levels should be measured along with your blood-glucose levels, at the fasting and one- and two-hour stages. Your fasting insulin should be below 19 units. One hour after the glucose drink, your insulin should be under 100, and two hours after it should be below 60. I see some people in my practice with readings as high as 600. Note: The GTT results are not considered accurate unless you are consuming at least 150 grams of carbs a day for at least four days before you take the test. 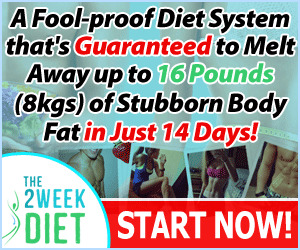 Therefore, doing it after you start Atkins would mean you'd have to go back temporarily to eating a high-carbohydrate diet (and almost certainly regain some of the pounds you have just successfully lost). If your GTT results point to problems in your body's ability to metabolize sugar, this alone should motivate you to change your diet. 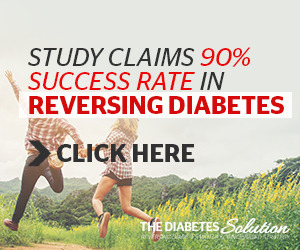 If your results are normal, you can count yourself fortunate that your new way of eating will forestall any future blood-sugar and insulin problems. Let me remind you that although the Atkins plan has a positive effect on many conditions, if you have serious health problems, you must see your doctor before starting! 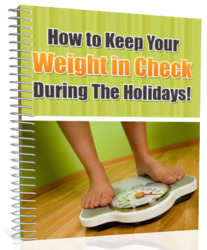 You will need his or her help in monitoring your changing metabolism. Now that you've addressed the medical issues, it's time to ready your kitchen, your loved ones and your own mind set. Don't skip any steps; each one will help make this one of the most rewarding experiences of your life. Before you begin doing Atkins, use a tape measure to record some vital statistics. Measure your chest, waist, hips, upper arms and thighs, and write down those numbers! When you measure yourself again in a couple of weeks, you'll be happy you did; the more ways you have of gauging your success, the more encouraged you'll be. This quiz on pages 150-151 is a great way to quantify how much better you'll soon be feeling. Go ahead and fill it out now but make a copy because you'll do it again in a couple of weeks, at which point I'm confident it will help spell out exactly how significantly your new way of eating will have affected your quality of life. If you aren't already exercising, I strongly urge you to start doing so now. Even a half hour of brisk walking four times a week will make a big difference, especially if you are almost completely inactive now. Exercise has enormous benefits for your health, and will speed your weight loss! It's a critical element of the healthy new you, and its importance cannot be underestimated. Stock the refrigerator and the cupboards with the food you're going to eat, including plenty of your favorite protein goodies. The next chapter will give you complete lists of acceptable and unacceptable foods specified for the Induction phase of Atkins. When you go to the supermarket or health food store, avoid the aisles where the high-carbohydrate temptations are found. Whenever I give this advice, I think of John Connor. He was a 19-year-old, six-foot four-inch patient who dropped his weight from 290 pounds to 209 in six months by doing Atkins. He told me he'd often go to the supermarket to buy legitimate food, get sucked into one of the sugar-saturated aisles and end up walking out of the store with a package of candy bars. During his drive home, self-control would reassert itself, and he'd lower the car window and throw the package into the street! What acceptable foods are your favorites? Do you love deviled eggs, turkey, chicken, shrimp salad, cheese? Have all these foods and more readily accessible in your refrigerator, along with plenty of low-carbohydrate vegetables and salad makings. I can't stress that enough. Better that a little food should be wasted than you should find yourself running out of the right foods and tempted by the wrong foods when hunger strikes. Next, get rid of all the foods and beverages you won't be consuming. This is easiest if you live alone and don't need to worry about what anyone else wants in the refrigerator. Invite friends over to finish off the ice cream. Have a "carb blowout" party! Give away all your forbidden foods, perhaps to a shelter for the homeless or a food bank. As a last resort, just toss them. Alter your mental picture-for you, these foods no longer exist. In addition to stocking up on the right foods, you'll want to purchase a good supply of the nutritional supplements I recommend and lipolysis testing strips, all of which you will learn about in Chapter 11. You'll also want to stock up on the wide variety of controlled carbohydrate foods available in your local health food store, drugstore or in most supermarkets.